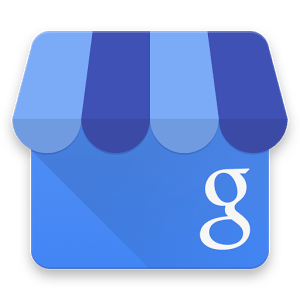 Google My Business is a business listing tool that gives you an online presence across Google. This includes Google search and Google Maps. It’s also free and, thanks to the link to Google Maps, it will help your clients and potential clients to find you. While it is said to be easy to use, not everyone has the time or online savviness to register. It’s also aimed more at local businesses rather than those with a national or international reach. At Fast Online Marketing Experts we will help you to get onto and make the most of Google My Business starting with claiming your page. After that, we take the time to get to know you and your business so we know what it is your page needs to say to reflect your identity and product or service. We also need basic information from you: name, address, contact numbers, opening hours, pictures, etc. Being able to provide your customers with directions to your premises is also very important and useful. All of this data is essential for the link to Google Maps. Our team will help you to set up your Google My Business page. Once you have your page we make sure it gets visited. Part of this is ensuring your business has online and directory credibility. Sounds complicated? It’s not really but it is essential. Your business details listed on other websites are called citations. Part of our job is to submit your business information to good quality local directories. In addition to promoting your business, these citations are found by search engines. The more online citations you have the greater, your visibility will be. It’s our job to ensure you have both! Google My Business can work as an additional online tool or as a viable alternative to a website for some customers. It can also act as an interim measure while a website is being constructed. To discuss getting your business onto Google My Business call us on 020 3912 1199. We’d be delighted to meet to discuss your needs.